Kim, Ritchie, and little miss Tallulah May were so much fun to photograph! We wandered around the State Arboretum of Virginia a couple weeks ago, and had such a beautiful evening for pictures. Kim and Ritchie are college sweethearts who met at Longwood University, and they are some of the best dog parents I've ever known :) Tallulah is so well-behaved, and she knows how to strike a pose for the camera! Probably why she's got her own Instagram hashtag - check out #tallulahmayb for more Boston Terrier cuteness. 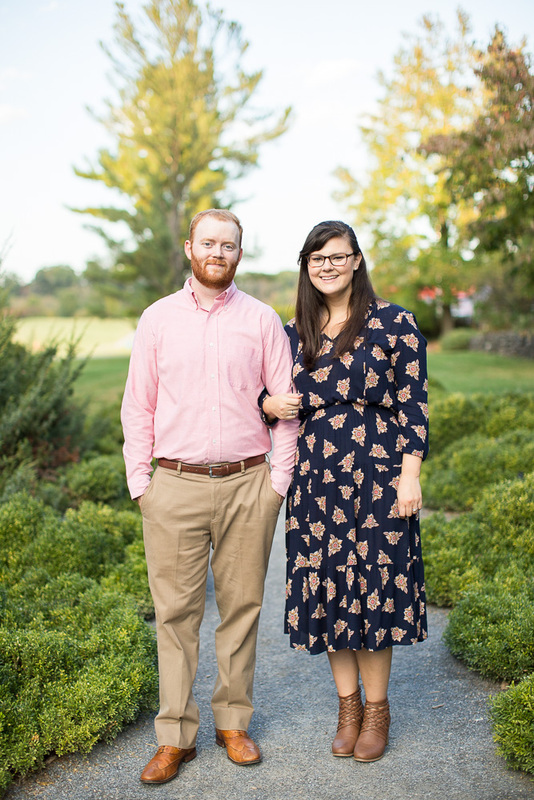 I can't wait for their wedding at Amber Grove next fall, and I'm so excited Tallulah will get to be a part of their big day! Oh Lou, that smile. So freakin cute. I love how Ritchie is looking at Kim in this one! Y'all, this dog is in love with her parents. I just know they spoil her rotten and she loves every minute of it! Kim's dress was made for twirling! "Do your best Tallulah impression." This is the universal "I'm done with pictures" face.